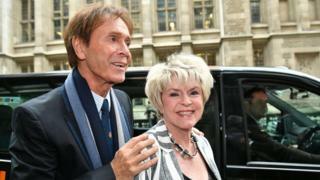 Sir Cliff Richard has said watching a BBC report of a police raid of his home in 2014 was "shocking and upsetting".The singer - giving evidence in a High Court privacy case against the BBC - said in a witness statement his health suffered "mentally and physically".South Yorkshire Police searched the Berkshire apartment after a claim of historical sexual assault.Sir Cliff was not charged with any offence. The BBC says its coverage was in the public interest. Lawyers for the 77-year-old say the coverage - including shots taken from a helicopter showing officers searching his property - caused him "profound and long-lasting damage".